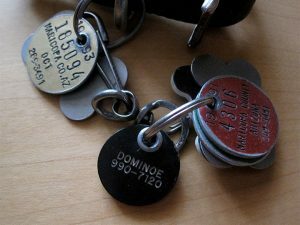 Those little metal pet rabies tags you attach to your dog or cat’s collar are much more than jingling baubles. Rather, they are shining insignia that represent one of humankind’s great victories over a centuries-old scourge. The Antonine Plague of 165 A.D., which killed some 5 million people and decimated the Roman army. It is believed to have been a smallpox or measles epidemic, brought back to Italy by soldiers returning from Mesopotamia. 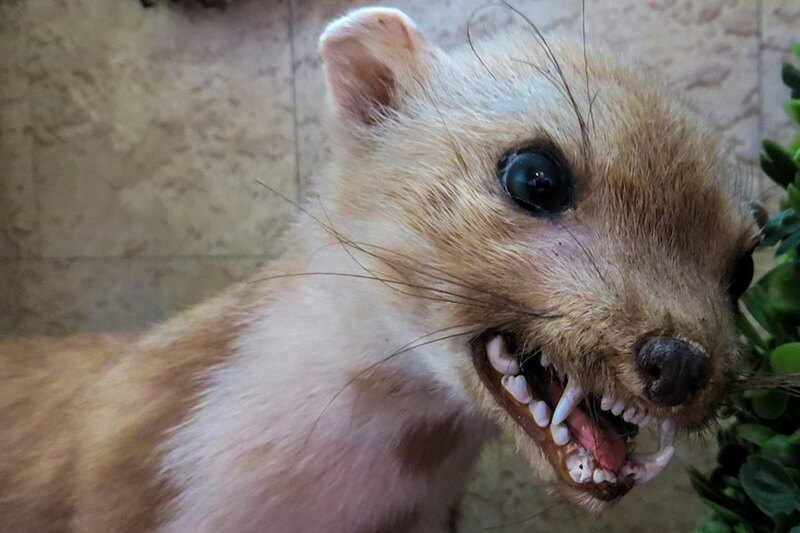 Bubonic Plague—better known as the Black Death of the Middle Ages—a deadly bacterial infection, spread by fleas and rats, that ravaged three continents and took an estimated 200 million lives. The Flu Pandemic of 1918, which was a perversely lethal strain of influenza that tore across the globe and struck down an estimated 50 million otherwise healthy, robust young adults. HIV/AIDS, which has racked up a combined death toll of 36 million worldwide since it appeared on the scene in 1981. 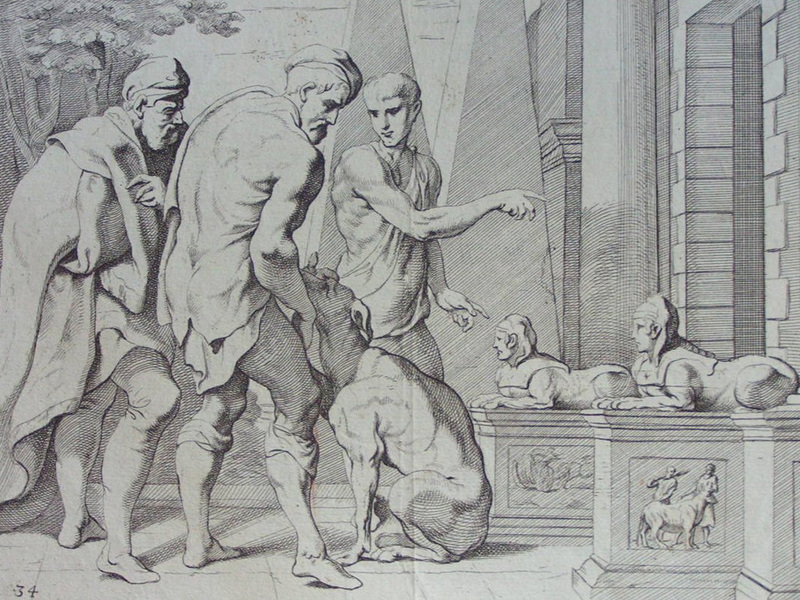 Among the very first dogs known by name in Western literature is Argos, who appears near the end of Homer’s Odyssey. In that great Greek epic of ancient times, he is depicted as the very epitome of faithfulness: waiting patiently for 20 years for Odysseus to return home from the Trojan War, he immediately recognizes his old master at first sight. Only then is the sick and feeble dog able to pass away in peace. Thousands of years later, we in the modern world can still recognize and appreciate this common bond between human and animal. When your canine friend suffers minor physical distress, did you know you can often administer safe “people meds” to treat the problem? 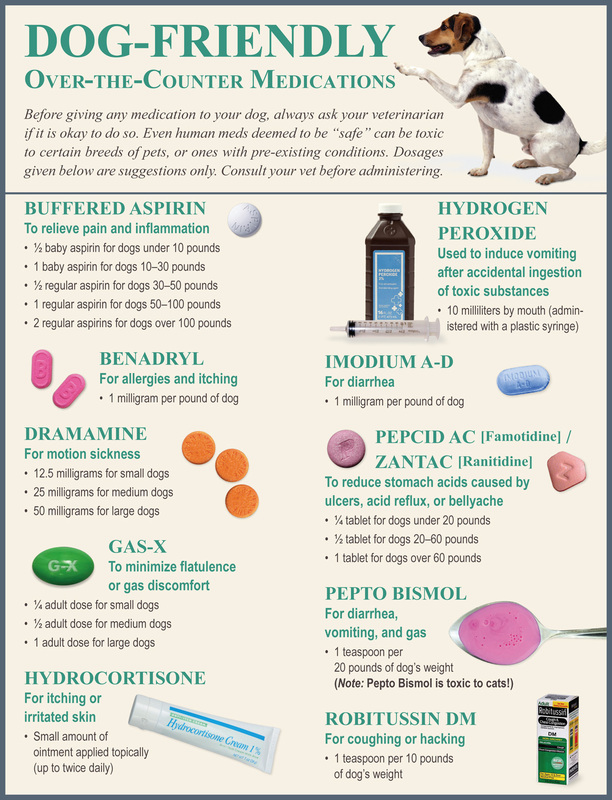 This infographic provides guidelines for treating your pet when it is in pain, motion-sick, gassy, etc. Click the link below to download a printable PDF (Safe-Dog-Meds.pdf) of these guidelines. NOTE: Always consult your veterinarian as to appropriateness and proper dosages of these medications before administering!